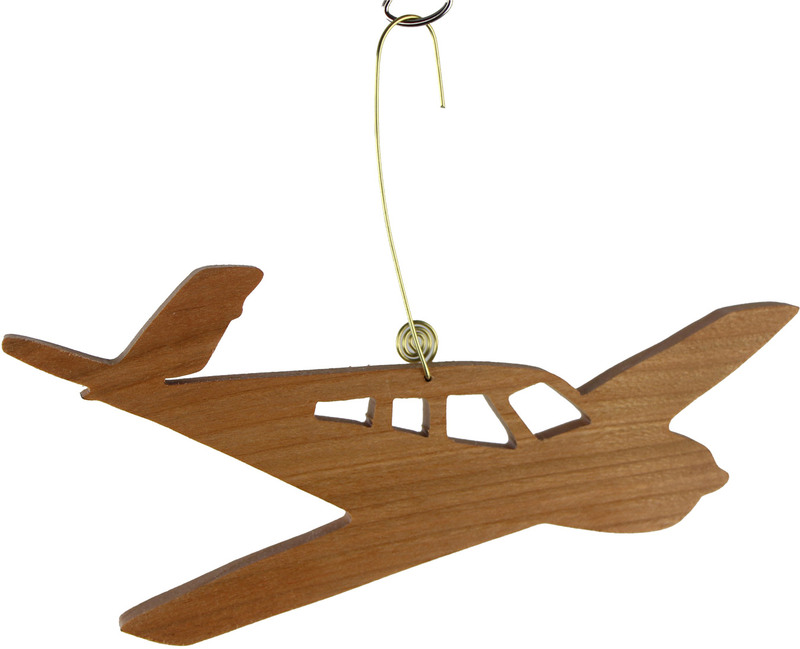 If you love airplanes or know somebody who does, this classic ornament is perfect! This lightweight airplane is made of cherry wood and has a Danish oil finish for a lasting beauty. A handmade, brass hangar was added for easy decorating. The ornament measures 5.50” long x 1.50” high and is .25” thick. Review: Bought this as Christmas gift for my parents who own a Bonanza. They loved it. Good size. Just as pictured. Great price. These adorable retro style airplane earrings are perfect for the world traveler or your favorite high flyer! Lightweight helicopter is made of cherry wood and has a Danish oil finish for a lasting beauty.